Current Larsen sheet piling China's major construction projects for a number of important ports, terminals, shipyards building, the construction of why to choose Larsen sheet piling? Use Larsen sheet piling What are the advantages. 8、sheet piles can be reused more than 50 times, good exchange performance, low operating costs. After reading these friends who are not on merit Larsen sheet piling more understanding of it. Currently Larsen pile into two types of hot-rolled and cold-formed, cold-formed sheet piling because of the low price, more and more suitable for environmental protection. So in recent years, some large international companies began to open a separate production line of cold-formed sheet piling, in order to better respond to future market. 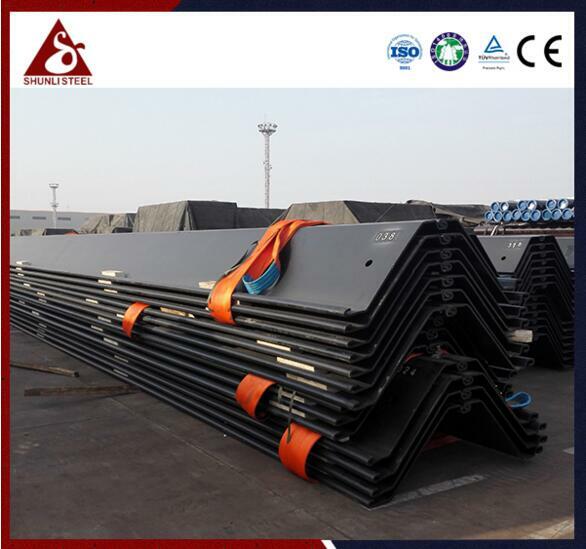 U-shaped cold-formed sheet piling, Z-type sheet piling Larsen, wide hat cold-formed sheet piling, wave-shaped sheet pilings, H-shaped sheet pilings, steel pipe piles, hot-rolled and cold-formed locking connector, etc., each face kinds of engineering and customer can provide the best cost-effective SL series.